“Sanav” - portable GPS tracking device that embeded into vehicle or other unit identifies location and route. Wide assortment combined by us is sold online for available price. Take a look at catalogue and base Your business (fleet management) or personal property on safety. 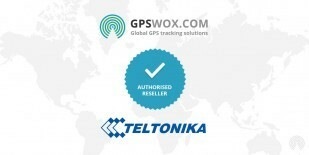 Sanav GPS Tracker devices support GPS Tracking Software provided by GPSWOX. Do not wait and get your own Sanav GPS Tracker device which support GPS Tracking Software.